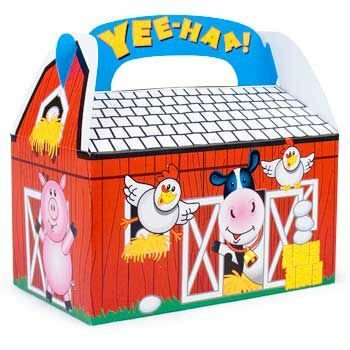 These treat boxes are perfect for filling with party favors or gifts at your next barnyard theme party. Cardboard. 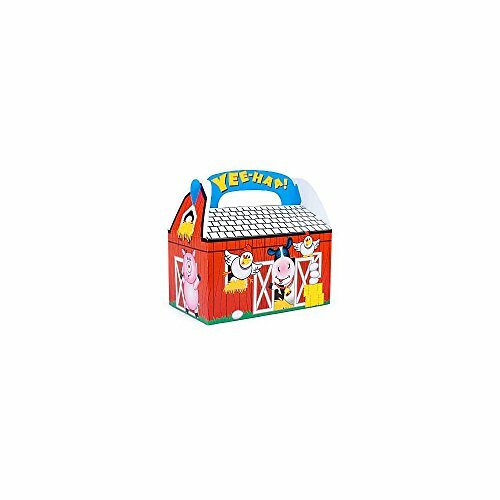 (8 pcs./set) 6-1/8″ x 3-1/2″ x 3-3/8″. Simple assembly required.